Every person on the planet is looking for new ways to make themselves happier and more confident on a daily basis. While we certainly encourage our patients to see us at least once a year in order to ensure that their teeth and gums remain healthy, we also can suggest cosmetic procedures as well at Brightleaf Dental. If you are thinking about visiting the office of a cosmetic dentist to learn more about how you can make your smile more aesthetically pleasing, we would absolutely suggest that you go through with it. After all, there is plenty that is happening in the world of cosmetic dentistry that you may not even be aware of. Since your smile is one of the most prominent features on your face, having damaged, crooked, or discolored teeth can not only lower your self-confidence severely, but it can also negatively affect the way that others see you. We would like to think that a less-than-perfect smile wouldn’t cause for you to miss the opportunity for a promotion or a date, but this is always a possibility. There is some confusion about what the difference is between a cosmetic dentist and a general dentist. The truth is, they can be one in the same. However, there is a distinct difference between what they do. A general dentist is responsible for preventative care for the most part. There are occasions when a general dentist will have to perform surgeries like root canals, but for the most part, their job is limited to make sure that your smile remains healthy over time. On the other hand, not only do cosmetic dentists restore tooth functionality when your smile becomes damaged, but they are also able to use a variety of techniques in order to enhance the overall aesthetics of a person’s smile. It doesn’t matter if your teeth are already in pretty good shape, you could probably benefit from another procedure that a cosmetic dentist can provide. Something like teeth whitening is very common even for those who consider their smile to be nearly perfect. Other patients who visit cosmetic dentists find that they are able to feel much more comfortable in their own skin after they have had procedures. This is often because with a more beautiful smile, their confidence is boosted after the procedure is complete. While it is not imperative for these types of procedures to take place in order for you to live, having them will absolutely increase your overall quality of life and just make you feel better about engaging with people on a daily basis. So let’s discuss the many different procedures we offer at Brightleaf Dental. Whether you have a smile that came with tooth gaps or you have a number of missing teeth due to damage or lack of care, a cosmetic dentist can help to restore your smile, making it look natural and be generally more useful. The different ways in which a cosmetic dentist can assist someone with their smile are vast and help to change the appearance of a person’s smile in multiple ways. A regular tooth implant is often used to replace one missing tooth. This is done by inserting a post into the jaw bone that a new faux tooth can be attached to. However, it is very important that the patient has adequate bone structure in order to support the implant. Sometimes if this is not the case, a bone graft will be used in order to build up the overall strength of the bone structure so that the tooth can be supported. There are several advantages to having a dental implant put in. The main advantage, however, is that you are able to restore your smile completely. This makes things like eating and drinking much easier than they were when you were missing a tooth. A dental crown is used to restore the strength, shape, and color of a tooth that has become damaged. A crown is placed over the damaged or missing tooth, allowing you to both speak, eat, and smile with more confidence. Made from durable materials, dental crowns not only can make your smile more appealing but they can also offer protection from further tooth damage by fully covering the existing tooth. This will seal it off from the bacteria in saliva. There are many different types of crowns you can choose from. Your cosmetic dentist can help you to decide what your best option is when it comes to choosing between all ceramic dental crowns, porcelain-fused-to-metal dental crowns, gold crowns and more. These are just several implants that have been made to close gaps in teeth where there are multiples missing. The same sort of procedure is used as is when dental implants are used, with the final results essentially being permanent dentures. Sure, it would seem that getting traditional dentures would be a less expensive and easier choice from the get-go, but in the long run this is not the superior option. 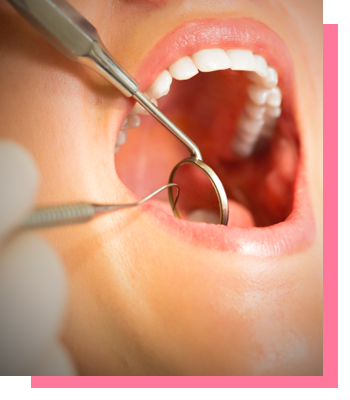 Dental bridges provide you with anchored chewing support, as well as the support you need in order to prevent bone and gum loss. This results in a preserved oral health as a whole. There are few people who are not somewhat familiar with what dentures are and why they exist. In fact, if you are missing the majority of your teeth, you have probably considered getting dentures at one point or another. Traditional dentures will not only restore the look of your smile, but they will also support your facial muscles. While we would suggest that a person gets a dental bridge over dentures, every person has their own preferences. Teeth whitening is something that nearly every person is familiar with in one way or another. You have likely seen plenty of advertisement on television boasting the incredible results people have been able to obtain with at-home tooth whitening kits. However, it has been shown that professional tooth whitening is the safest and most effective way to get your smile to look brighter and more beautiful. This method is far better than simple DIY methods that can be used in your home because you have a real professional dentist using professional grade products on your teeth. Nearly every dentist’s office offers professional teeth whitening services so that you can have a stain-free smile and feel better about how you look each time you look in the mirror or shoot a grin at someone special. This may seem a bit strange to some people, but not everyone is born with what we consider to be “properly shaped” teeth. This often leads to lowered confidence and an overall dislike of showing off said person’s pearly whites. If you do not like the shape of your teeth, you may not be aware that there is a way a cosmetic dentist can solve this issue for you. Whether you think your teeth are too pointy, worn down, or just oddly shaped, there are many different cosmetic procedures that a dentist can perform in order to give your teeth a more natural look. Much of the time, cosmetic dentists will use porcelain veneers since they can be shaped exactly as you wish them to be. If you have exposed your teeth to years of wear and tear, you may notice that they are cracked, chipped, or discolored. Additionally, if you have damaged a tooth by biting down on something hard or using your teeth as tools, you could also need help restoring a damaged tooth. A cosmetic dentist can use procedures like bonding or porcelain veneers to cover the damage and enhance the overall look of a tooth. If you have more severe damage, your dentist may suggest that a dental crown is used instead so that your tooth can be restored to look natural and be generally more supported. There are few people in the world who have perfectly straight teeth. This is why many people are in need of cosmetic dentistry. For some, they will opt to get traditional metal braces, even though they are not aesthetically pleasing. This is not the only option you have though. Clear braces are a great alternative that have proven to be extremely effective. You may also want to ask your dentist how porcelain veneers can be used as an effective straightening option as well. Whether you are 13 or 30, you don’t have to continue to hide your smile for lack of your teeth being straight. Instead, we would suggest that you bite the bullet and put your trust into a cosmetic dentist who can fix your crooked or misaligned teeth. While some people do not realize that people have this issue, there are plenty of smiles out there that make their owners feels bad about themselves because of their tooth size. If you have always been self-conscious about the size of your teeth and you think them to be too small, your cosmetic dentist may be able to help. Dental veneers can be bonded to your tooth’s surface in order to alter both the length and the shape. You will have complete control when it comes to what your smile will look like in the end, as well as a dentist who will consult with you to make sure you are making the best choice for the shape of your unique mouth. While we cannot stress enough the importance of having a general dentist who you see annually at the very least, we also think having a cosmetic dentist that can assist you with more complicated dental matters is imperative. The good news is, they can be the same person! Since your smile is such an important part of your daily life, you need to make sure you are seeing a cosmetic dentist who will go above and beyond to give you the smile you desire. We wouldn’t suggest that you simply settle for the dental office that is closest to your home. Instead, we would suggest doing research about the different procedures each cosmetic dentist in your area is capable of completing and go from there. If you are looking for the best cosmetic dentist in all of Santa Monica, look no further than the amazing team at Brightleaf Dental. Our team of dental professionals is made up of experienced and passionate dental experts who not only want to make your smile as healthy as possible, but also who will give you honest feedback so that you can do what is best for your smile. Many people find that they are intimidated by the idea of going to the dentist. This is especially true when their visit concerns a cosmetic matter. The good news is, we will do everything we can to make you as comfortable as possible while you in the Brightleaf Dental office. When you call us today, we can answer any questions you may have about cosmetic dentistry and how we can better your smile overall. Contact us now for more information!